A top quality shower rail with contemporary styling. 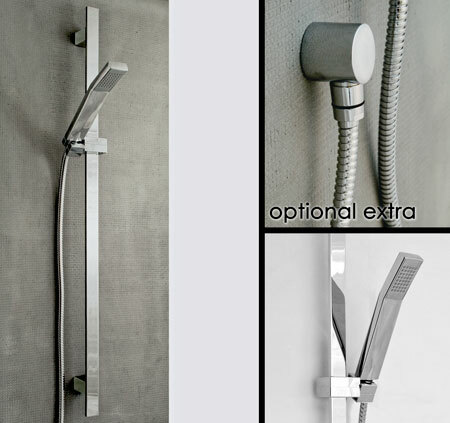 This well engineered shower head has a clever slide adjustment mechanism, for those who like the little extras. * Metal slide bar construction. * Single shower pattern functions. * Chrome & metal shower hose. * Min. 0.3 bar water pressure.